A glorious and miraculous trip to the Holy Land condensed into a 117-page electronic book—this is Twelve Days to Jerusalem. Written by Mary McAliley based on her very own experiences, this electronic book will take you on a journey of the body and spirit and will open your eyes to the revelation of God’s beautiful creations. You can also order an eternal peace necklace to help the blind and the children in the Holy Land. 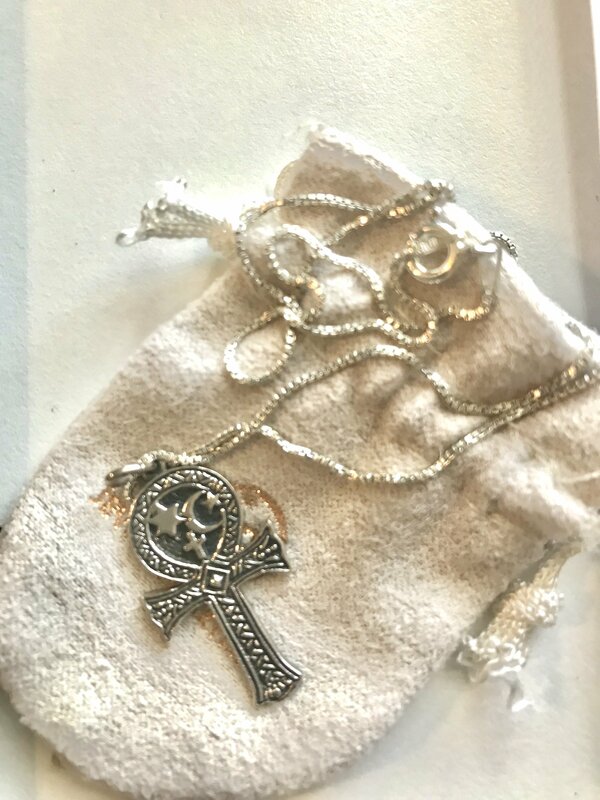 The Christian Cross, the Jewish Star of David, and the Muslim Crescent and Star are joined together in the heart of the ankh, the ancient Egyptian symbol for eternal life, to produce this stunning piece of richly-patterned, sterling silver jewelry with sixteen-inch chain. This item is available for $198.96 plus tax and shipping. Once you read Twelve Days to Jerusalem, you will want to share the inspirational words and moving encounters with the Holy Spirit with family and friends. A religious podcast of this book will also be posted in the near future. To learn more, reach out to Mary McAliley via phone, fax, or email.